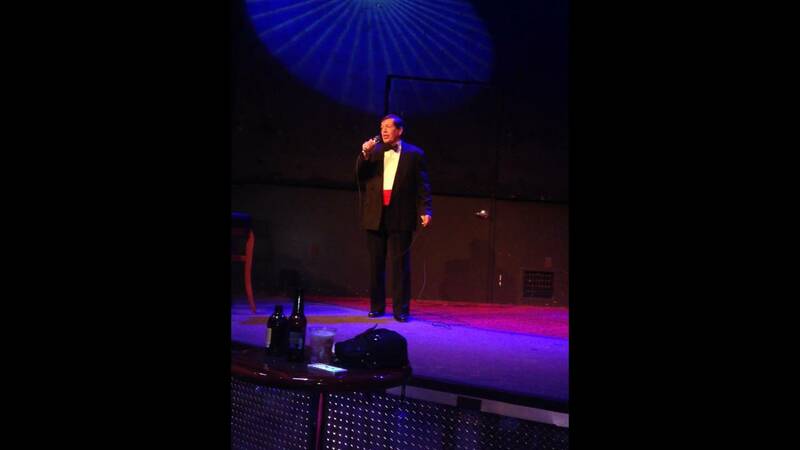 Don sings Sinatra in Central City, Co.
Sinatra, Elvis, Dean Martin for seniors and everyone! I sing at a lot of senior events! (Please read my reviews and give a listen to the songs I recorded in a local studio). I was featured at the Festival Italiano 4 years running. I do an Elvis show in costume. Wedding singer, all kinds of events! Call me for your restaurant party, corporate party, etc.. I sing the classics by Sinatra, Dean Martin, Tony Bennett, etc. Singing telegrams in Denver, $65. I also write songs for events. I write parodies mostly, or special songs with your ideas. I reserve the right to refuse business at my discretion. Thanks! Call me for Mother's Day serenades!!! Don did a wonderful job at our recent charity event. The event had a 1930's Hollywood theme in honor of our 30th Annual Summit where we raised money for Make-A-Wish Colorado and sponsored a young girl's wish to visit Italy. Don was easy to communicate with prior to the event, understood exactly what we were looking for and delivered perfectly on the evening of the event. He arrived in plenty of time to get his equipment set and do a sound check prior to any guest arrivals. We asked for most of his songs to be Frank Sinatra tunes, with a few Elvis and other crooners mixed in. He has a beautiful voice and did a wonderful job. He was the perfect addition to our Hollywood red carpet event. We would definitely hire him again if in the area for this type of event. 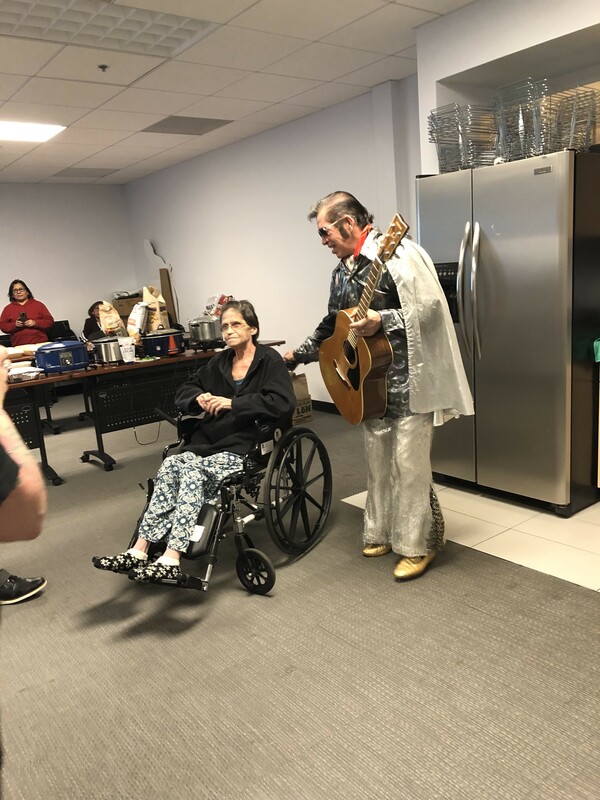 We had Don come as Elvis for our co-workers birthday. 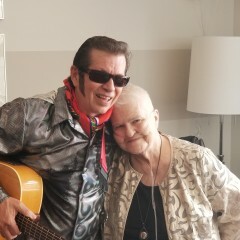 She has terminal cancer and him singing her “Love Me Tender” and “Happy Birthday” made her so happy! I highly recommend Don! He is professional, on time and is incredibly kind! He was wonderful and my sister loved him! I hired Don for my mother's 80th birthday party, and he was excellent. He has a beautiful voice, is friendly and fun in his performance, and even throws in some information about some of the songs as he goes along. He was very open to singing what the group wanted to hear. Throughout his performance, guests kept coming up to me to tell me how great he was and many got his contact information. He was also very easy to work with to schedule the performance and deal with logistics. I highly recommend Don without hesitation! I had fun entertaining your family and interacting with them! Thanks! Don was so Fun! My Guests loved him!! Thanks Linda! I had a blast performing for you and your guests!! They were wonderful, and I love it when folks get up and dance to the classic Elvis tunes!! Thanks for allowing me to be a part of their celebration! Thanks for a fun event Don! 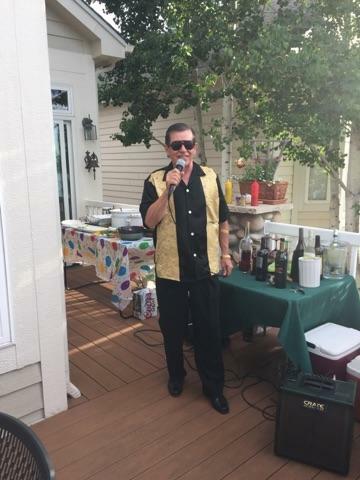 Don is an amazing Elvis impersonator... he arrived early and waited patiently for my Dad to arrive late to a surprise birthday party. He has an amazing voice and everyone loved his music. Thanks Don! Thank you very much! Thank you, Rhonda! 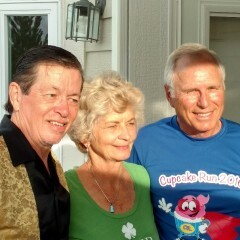 It was a privilege to be part of your dad's 75th bday party! We had Don do Elvis and the old crooners at my birthday party that we held at our local bar. He did a fantastic job and was easy to work with. He arrived on time and actually started before the time agreed. We would definitely book Don again for other events. Don was prompt, professional, and a consumate performer with a beautiful voice. He adapted to our very small venue well, and provided quality entertainment for my mother-in-law's 80th birthday. Don did an awesome job! Charlie, I enjoyed meeting you and your mom. I enjoyed serenading her with Love Me Tender. Thanks! John Had a Good Time! The price was great but I think we probably needed to spend more as the music quality wasn't great! Don was lovely and entertaining. I just thought that his recordings were a little tinny! I also would have preferred more Frank Sinatra but Don's choice was OK.
Don D’Angelo did a fantastic job! He gave perfect song suggestions for the occasion and did a wonderful job entertaining everyone! I enjoyed singing a few songs to your aunt on her 90th bday! I also enjoyed the fact that she knew most of the words and sang along! Thanks for hiring me! A HUGE hit with our teenagers! Our 18 year old son has always been an old soul so it was natural to have Don come and sing for his birthday. We had so much fun! Don was so easy to get ahold of, work with, and so fun at our party! His song selection is broad and he was able to sing song after song by request. His humor and interaction with our family added to our event. He helped to created a memory that will last for years in our family! You need him for your next event!!! It was a blast joining your family for your son's birthday party! I'm always surprised to find a younger person who enjoys and appreciates the classic songs of Sinatra, Elvis, Dean Martin, and good old country music! Thanks again for inviting me!!! Don replied immediately to my requests. He then went above and beyond by writing a special song for the event which totally reflected the clean humor and feel of the celebration!! Thank you Don for making our event such a success!! Mary, thanks for the review! It was fun and a little challenging writing the song for the party! Thanks again! Don has a wonderful voice and was very easy to work with. He sang at a restaurant for my sisters 50th bday and the family thought he was wonderful and most importantly, she did! Teri, Thanks for contacting me to sing for your sister! It was delightful meeting your family! I booked Don to play at my father's 70th birthday party in Windsor CO, and it was a surprise visit! Don was easy to reach, amiable at my request to show up (without my being in attendance - I live in Maine) and sing Frank Sinatra tunes in honor of my father's favorite singer. Don was very responsive to my phone calls and messaging (through Gig Salad), and everyone loved him at the party! It was a successful event, and Don made it seamless for me to give this gift to my father as I was not able to attend his party. I will definitely think of Gig Salad when booking other talent in the future, what a great site! And Don will be on my radar for any events in Colorado! Thanks Don!! Flexible, easy to work with and talented! 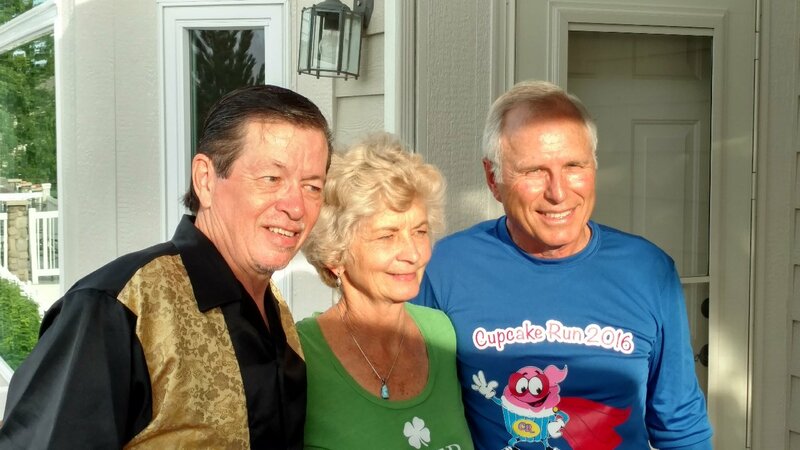 Don did an outstanding job for a birthday party on Saturday, May 27, 2017. On the business aspect, he was beyond flexible, generous and easy to work with. As a performer, he is incredibly talented and can light up any crowd. I would highly recommend Don to anyone for any occasion! Awesome job! Brea, Thx for having me as part of your grandfather's birthday celebration! It was my honor to be a part of it. I was glad to see folks on the dance floor! Don performed at our Annual Event, "Bet On A Winning Evening". He did a wonderful job performing the first half of the evening as an Elvis Impersonator, and finishing off the evening "Crooning" the favorites from the Rat Pack Era. He entertained the audience in a Las Vegas Themed atmosphere, and was very much at ease as he worked the room. I would use him again in a heartbeat! Melanie, I had so much fun with your guests at the event!! Thanks for having me!! Don performed during our wedding ceremony and dinner at the Stanley Hotel - he is excellent - and was even better than our expectations - he was referred to us by our wedding planner. All of our guests told us they really enjoyed his singing, and we feel like Don added a special touch to our wedding! Nancy and Ken......Your ceremony was beautiful! I appreciate your asking me to be a part of it. May your marriage be wonderfully blessed!! Not only did he do an amazing job, but he even learned a specific song just for our event. I Highly recommend him! Our mother was very surprised. There were over 70 people at this 70th surprise party. Don helped bring back lots of memories. He has a fabulous voice and stage presence. Don was outstanding. Everyone loved him and said it "made" the party. As well as being a great performer, Don was organized and professional. I highly recommend him. Don was amazing he went above and beyond for my aunts birthday party. He has a beautiful voice and is very professional, personal and punctual. Thank you for such a great experience Don you made my auntie Margie birthday just perfect. Desiree, thx for inviting me to serenade your aunt on her birthday. My pleasure! He is very dependable on time and communicated well through out the whole process. The amount he charged was very reasonable . And his Elvis voice was excellent . Don was very reasonable priced, he was very dependable and followed up with the event well, He has an awesome voice and we enjoyed his Elvis and Frank Sinatra impressions thank you Don. Don has come to Castle Country Assisted Living quite a few times and the residents just love him. He interacts very well with them and makes the whole experience fun! We will be bringing him back! Our senior community (and our not so senior community) just loved Don's voice and choice of songs. He added a little joke here and there and encouraged everyone to sing with him. It was a lovely afternoon and Don's delivered a great show. I was the one who coordinated the entertainment. I found Don very easy to work with. He came on time, brought all his own materials and was a really nice person! Don is a singer here in Colorado. I have gone to several of his performances and have been very impressed with his voice and stage presence. One of the best performances I attended was at the Italian Festival in 2014. He gave the audience a look back into the days when music was music. During his performance, his music and style motivated the audience to dance which made the day even more special to many there. Don D'Angelo on stage. He makes his audiences feel like they are a part of what he does. Jim, thanks for the review! Glad you enjoyed the music! Don has been doing monthly performances for 7 of our specialty memory care facilities and our residents love it. Allison, I had a great time at the anniversary party! Thanks for inviting me to be a part of your event! I'm glad your group had a good time! 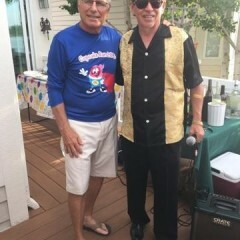 We hired Don to sing at my father's 75th birthday party and we had a wonderful time. His music choice, vocals, ease with our family, and his delight in doing what he loves made for a positive and wonderful event. Great songs, great singer. I heard Don perform at the Italian Festival In Lakewood Co Sept 2014. My daughter loves Frank Senatra and the Rat Pack so when she got engaged we thought it would be so much fun to have him perform for her cocktail hour. Her wedding is in Sept 2015. We are excited to have him perform at her reception. Thanks Jackie! I love singing at weddings! 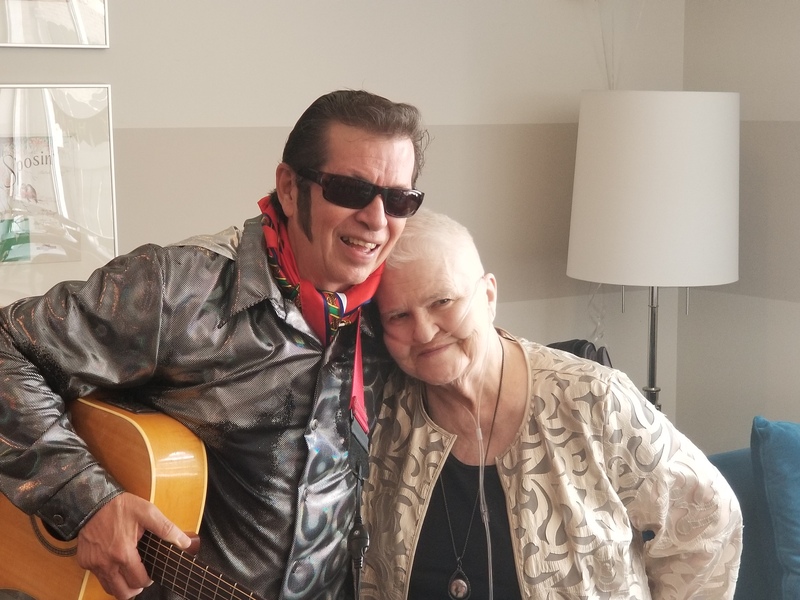 Don came to The Wexford and performed his Elvis show for my senior residents. Some were very impressed by him and a few said they did not like him. Overall, I would say he did a good job. Don engages his audiences and keeps it lively and upbeat. He has a good singing voice and good repertoire. Don is amazing! I've actually hired him for 3 different events and he's always very punctual! He also plays a wide variety of different music! Elvis and frank are always a blast too! All of our family and friends are always thrilled when Don's gonna play at our parties! Thanks Don, your the best! Don sang an Italian Happy Birthday to my Mom for her 90th birthday -- she LOVED it. The Sinatra songs really set the mood and we all dance with her. She was so moved. On a more logistical note: Don kept in touch until the date, showed up right on time, spoke w/ the restaurant manager ahead of time to be sure the set-up would work well and took care of everything to ensure a smooth delivery of his talent. I would recommend him highly and definitely would hire him again. Thanks so much, Don! Don is an amazing performer. The residents (senior citizens) enjoy him very much, and he comes monthly to our facility. 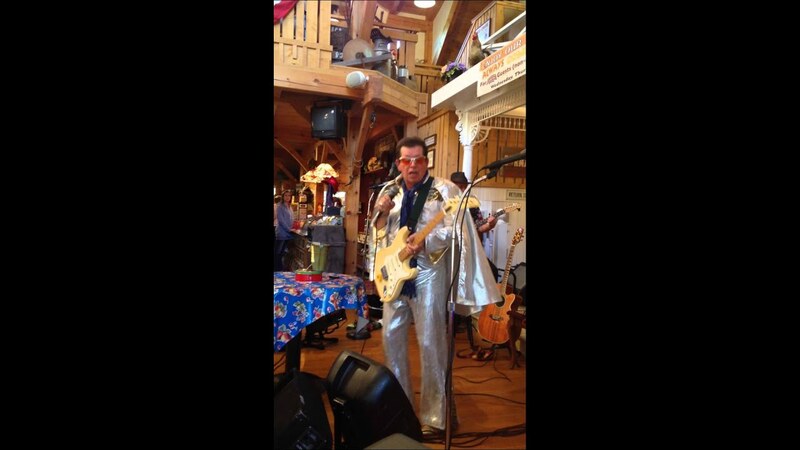 He really stood out to me when he performed as Elvis at our Casino Party that hosted 200 people. Families and residents danced and sang with Don. He is a load of fun. He comes highly recommended. Plus, he's affordable. As a Life Enrichment Manager at an Independent Living facility I can say that Don is one of the best! I have worked with him for over 5 years now and have always been impressed with his quilty of work, reliability and great performances! I would recommend him to anyone looking for a quality singer! I can't speak highly enough about the job Don did for us! 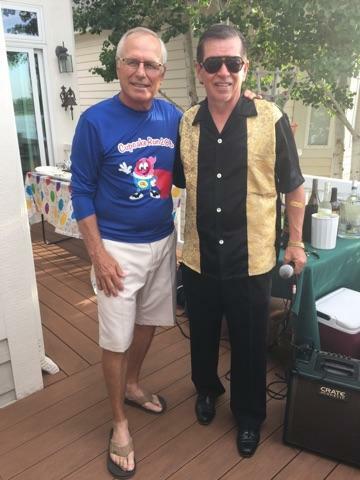 Despite being given short notice and having to perform on a holiday, Don's appearance at my wife's birthday party was a memorable one. My lucky better half has her birthday on the 4th of July and this year we wanted to have a special party for her. Don showed up right on cue, performed flawlessly, and couldn't have been a nicer gentleman. We set up his stage on my backyard deck and he wound up playing through a torrential rainstorm! He never stopped! It made for a fantastic event!!! 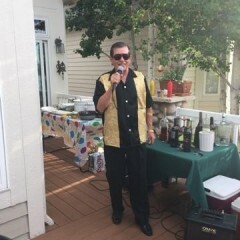 Don was a great singer for our party. He had such a smooth voice. He is very professional and did such a great job. All of the guests truly enjoyed his crooner style! Don arrived early to our event for set-up so he was ready on time. He was personable and had a great singing voice. Thank you Don for the great music! A fun time had by all ages! 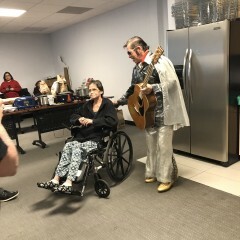 Don came and played elvis for my sons 9th birthday! He was just what we were looking for! He kept us all entertained for a solid hour!!! Thanks again Don for helping us make memories to last a lifetime!!! Don sang songs that our Elders enjoyed and were familiar with. Don has appeared at over twenty Senior Connection shows along the front range over the past eight years. He may show up as Johnny Cash and do a western medley, as Frank Sinatra and do Rat Pack songs, or as Elvis! He is punctual and you can tell he enjoys his work. We will have him perform again in 2014. Don is versatile, engaging, entertaining, and easy to work with. I hired him for my sister's 40th birthday party after seeing him at a friend's 60th birthday party. Oh yeah, he really can sing well! 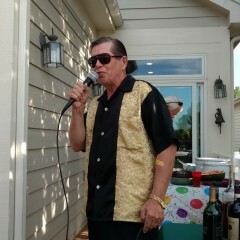 Don did an Elvis impersonation for my Mom for her 80th Birthday party. She really enjoyed it as did the guests. Thanks, Don. I have heard Don numerous times and always enjoy him. Being a musician and singer myself I know talent and Don definitely has it. Not only is he a great singer but very humorous as well. I highly recommend him. Easy to work with over the phone! 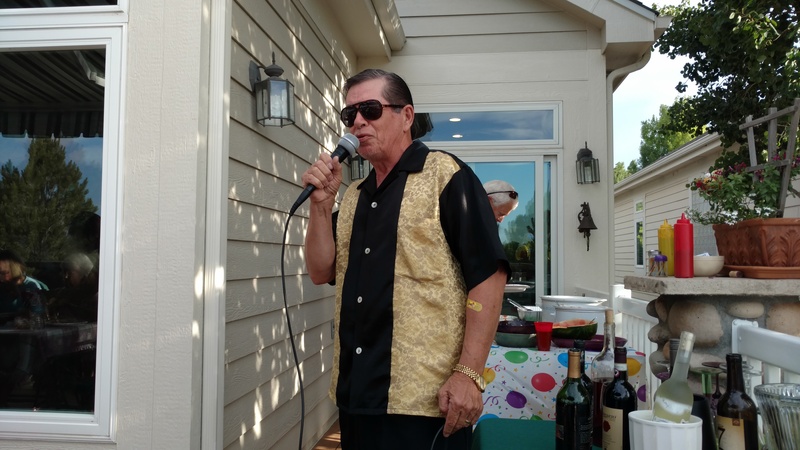 I hired Don to sing at my sister's 30th birthday party in Denver. I am from out of town, but Don was easy to work with over email and phone. From what I heard, he did an excellent job and really added something to the party. My sister said she loved it! actually it is a malt shop. We had Don come and sing for us in August and what a wonderful job he did. We very much enjoyed listening to him singing a medley of oldies for us and will definitely ask for him to come back again! He's one of the good guys! Don acted as both emcee and entertainment for our charity walk event on Saturday, and I was very happy with his level of professionalism and talent. We have our event in Denver every year and I will definitely look to book him for the event next year. I work as an Activity Director at a senior community/nursing facility in Boulder. I hired Don to sing love songs by Sinatra and Elvis for a Valentine's Day event. The seniors loved him! Many were singing along and commented favorably afterwards. He is very professional to work with, showed up early, and was very comfortabel engaging with our residents. I will definitely hire him again! We hired Don for a holiday party and could not be happier. He was easy to work with, very fairly priced and he sings beautifully. Don is a real joy to work with and I would recommend him to anyone. Hire him for your next event, you won't be sorry! I work at a nursing home that hosts Don for frequent music entertainment. He is great with our residents and always goes above and beyond what is expected of him. He is definitely a favorite around here and residents will often request him for specfic events. In addition to having a fantastic voice, he interacts well with the people he is preforming to. He does a great Elvis impersonation and will take time posing with staff and residents for pictures afterwards. When other entertainers cancel last minute, Don is one who you can count on to be there without much notice which is definitely a life saver. He is so much fun to have, I would highly recommend him! Great singing voice... attentive to our needs. My wife and I hired Don for our wedding in which we wanted certain songs sung. One in particular Don did not know or had not sung before. We gave him a copy and he went out of his way to get the lyrics in written form. He practiced it I don't know how many times... and when he sang it... it was though he had sung it many times before. His voice was more than what we would have imagined. He was very sincere... in "getting it right" for us. He was open to singing outside at our wedding which being outside is not necessarily the best venue especially if there is a wind. Don's equipment and his voice did the job without trouble. We were both appreciative that he was willing to sing outside for our wedding. He delivered professionalism in every aspect of conversing with him about our arrangements and he delivered beyond our expectations. He got great reviews afterwards. Thank you Don. Don is the one you want for your event! Don has a great crooner voice. He is very professional and accommodating. Our event was over 100 and many compliments were told to me. His range of songs from Sinatra and Bennett to country music is vast. I would recommend Don for any event you might be having. He not only sings but truly entertains the audience. His repetore' is massive and brings out songs I have not heard in years. I Truly enjoy watching and listening to Don perform every time I see him. I have hired Don on multiple occasions to do our happy hour entertainment at a senior citizen community. He is one of the best entertainers we hire. Don is always ready to go before his gig is supposed to start. He is very professional and gets my residents involve. I would highly recommended him for any events. Don was great and sang songs that kept the party going from the 50s. He sang Elvis, Dean Martin, and so many more. He dressed as Elvis in the 2nd part of the performance and really had the group swinging. Very professional and a great voice! I would highly recommend Don to anyone looking for a talented singer to join their party. You won't be disappointed. Even though it was short notice and not in his immediate area he agreed to play guitar and sing a couple songs at my daughter's 30th birthday party in Westminster, CO. My daughter said he was very good and a real nice man. I did hear his demo's and he has a fabulous voice. You will not be disappointed if you hire him. Whether there is a dance floor provided or not, people usually get up and dance when Don sings. That tells me they are really enjoying the entertainment. My hope is that when anyone hears my renditions of the crooners, they will have a great time, and enjoy the party or event more than they anticipated. I hope that the love songs will bring back special memories. Maybe you'll get out of your seat and dance your heart out!!! Listen to the songs of Sinatra, Dean Martin, Al Martino, Bing Crosby, Nat King Cole, Louis Armstrong, Englebert Humperdinck, and Elvis. Now and then, when requested, the classic country songs by Hank Williams, Willie Nelson, Merle Haggard, George Strait and others. Don's a songwriter as well, and will write a custom song for your event, if requested. He once wrote a song to the tune of Folsom Prison Blues for a birthday party. He also rewrote Only the Lonely, a famous song by Roy Orbison, as Only Bologna, a very comical version of the song's lyrics. Green, green grass of Home, and others. He uses Peavey and Bose equipment for quality sound. Don was born not far from New Orleans. His first public performance was at the age of six! He started listening to Elvis as a kid, but his appreciation for Sinatra and the crooners came much later. 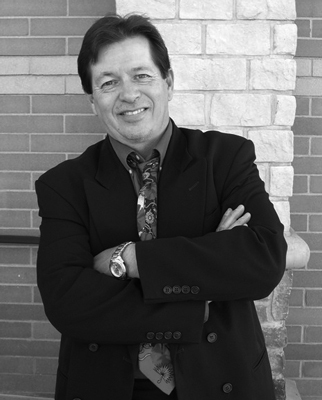 He has performed in different parts of the country, moving to Colorado in 1989. Don performed at the Italian Festival in Lakewood four years running . He's performed at the Reserve Hotel Casino in Central City, and Del Frisco Double Eagle Steakhouse in August of 2016. I use Bose and Peavey equipment for a great quality sound. I do not provide any lighting. March 01, 2018 • 10:45am - 3:30pm Denver North Care and Harvard Sq. A.L. February 28, 2018 • 1:30pm - 2:30pm Balfour in Louisville Colo.
February 22, 2018 • 12:30pm - 4:00pm Kavod and Garden Plaza in Aurora, Co.
February 21, 2018 • 2:30pm - 3:30pm Cherrelyn Asst Living Englewood, Co.
February 20, 2018 • 2:00pm - 3:00pm Brookdale Brighton, Co.
February 17, 2018 • 2:30pm - 3:30pm Englewood Acute Rehab. February 16, 2018 • 6:30pm - 7:30pm San Marino in Westminster, Co.
February 13, 2018 • 10:00am - 3:30pm Harmony Pointe and Sunrise Westminster, Co.
February 12, 2018 • 11:00am - 4:30pm Assured Asst. Living in Castle Rock, Co.
February 05, 2018 • 2:30pm - 3:30pm Spearly in Denver, Co.
February 01, 2018 • 10:45am - 3:30pm Denver North and Havard Sq. January 30, 2018 • 2:15pm - 3:15pm Johnson Day Center, Englewood, Co.
January 26, 2018 • 2:30pm - 3:30pm Colo. Vet. Home, Aurora, Co.
January 25, 2018 • 12:30pm - 4:30pm Kavod and Cherry Hills in Littleton, Co.
January 24, 2018 • 1:30pm - 2:30pm Balfour in Louisville, Co.
January 16, 2018 • 3:00pm - 4:00pm Granville Asst. Living, Lakewood, Co.
January 11, 2018 • 10:30am - 11:30am Garden Terrace, Aurora, Co.
January 08, 2018 • 11:00am - 4:30pm Assured Asst Living, Castle Rock, Co.
January 04, 2018 • 10:45am - 3:30pm Denver North and Harvard Sq. January 03, 2018 • 10:30am - 11:30am Music for seniors, Aurora, Co.
April 26, 2017 • 1:30pm - 2:30pm Crooner for seniors, Louisville, Co.
April 18, 2017 • 1:30pm - 3:00pm Elvis at the Granville, Lakewood, Co.
April 12, 2017 • 9:30am - 2:00pm Crooner for seniors, Parker, Co.
February 28, 2017 • 3:00pm - 4:00pm Crooner music for seniors, Englewood, Co.
February 25, 2017 • 5:00pm - 6:00pm Sinatra/Dean Martin for senios, Arvada, Co.
February 23, 2017 • 12:00pm - 1:00pm Music for seniors, Cherry Creek, Denver, Co.
February 22, 2017 • 1:00pm - 2:00pm Crooner music, Louisville, Co.
February 21, 2017 • 2:00pm - 3:00pm Music for seniors, Englwood, Co.
February 18, 2017 • 3:00pm - 4:00pm Music for seniors, Denver, Co.
February 17, 2017 • 2:00pm - 3:00pm Sinatra/Elvis music for seniors, Denver, Co.
February 16, 2017 • 2:00pm - 3:00pm Crooner music for seniors, Englewood, Co.
February 15, 2017 • 10:00am - 11:00am Elvis/Country music, Denver, Co.
February 14, 2017 • 2:00pm - 3:00pm Valentine's Day party-Lone Tree, Co.
February 13, 2017 • 11:00am - 4:30pm Acoustic music for seniors, Castle Rock, Co.
February 11, 2017–February 12, 2017 • 10:00am - 12:00am Elvis party for seniors, Aurora, Co.
February 09, 2017 • 4:00pm - 5:00pm Sinatra/Elvis for seniors, Westminster, Co.
February 08, 2017 • 9:30am - 2:00pm Music for seniors, Castle Rock, Co.
February 07, 2017 • 10:00am - 11:00am Music for seniors, Castle Rock, Co.
February 06, 2017 • 1:00pm - 2:00pm Music for seniors, Lakewood, Co.
February 03, 2017 • 2:00pm - 3:00pm Music for seniors, Lakewood, Co.
February 02, 2017 • 2:00pm - 3:00pm Crooner music for seniors, Devner, Co.
February 01, 2017 • 10:00am - 11:00am Music for seniors, Aurora, Co.
January 26, 2017 • 12:00pm - 1:00pm Elvis for seniors, Cherry Creek, Denver, Co.
January 25, 2017 • 1:00pm - 2:00pm Elvis/Country music for seniors, Lousiville, Co.
January 24, 2017 • 9:00am - 10:00am Acoustic music for seniors, Littleton, Co.
January 21, 2017 • 5:00pm - 6:00pm Elvis for seniors, Arvada, Co.
January 20, 2017 • 2:00pm - 3:00pm Acoustic music for seniors-Aurora, Co.
January 19, 2017 • 4:00pm - 5:00pm Crooner music for seniors-Louisville, Co.
January 18, 2017 • 3:00pm - 4:00pm Sinatra for seniors-Denver, Co.
January 17, 2017 • 2:00pm - 3:00pm Sinatra/Dean Martin for seniors-Denver, Co.
January 16, 2017 • 7:00pm - 8:00pm Crooner music for seniors-Lodo-Denver, Co.
January 14, 2017 • 11:00am - 4:00pm Sinatra/Elvis for seniors, Castle Rock-Parker, Co.
January 13, 2017 • 1:00pm - 2:00pm Sinatra for seniors-Northglenn, Co.
January 12, 2017 • 2:00pm - 3:00pm Country music for seniors, Englewood, Co.
January 11, 2017 • 9:30am - 2:00pm Sinatra for seniors-Castle Rock, Co.
January 10, 2017 • 10:00am - 11:00am Elvis for seniors, Lakewood, Co.
January 09, 2017 • 11:00am - 4:30pm Acoustic music for seniors, Castle Rock, Co.
January 07, 2017 • 2:00pm - 3:00pm Elvis for seniors, Parker, Co.
January 06, 2017 • 10:00am - 11:00am Elvis for seniors-Lakewood, Co.
January 04, 2017 • 3:00pm - 4:00pm Belleview Heights Mem Care-Aurora, Co.
January 03, 2017 • 10:30am - 11:30am Sinatra for seniors-Castle Rock, Co.
November 30, 2016 • 2:00pm - 3:00pm Barth Hotel/Denver, Co.
November 25, 2016 • 2:00pm - 3:00pm Granville Asst Living/ Lakewood, Co.
November 23, 2016 • 1:30pm - 2:30pm Balfour Asst Living/ Louisville, Co.
November 21, 2016 • 2:15pm - 3:15pm Johnson Center/ Englewood, Co.
November 18, 2016 • 3:00pm - 4:00pm Manor Care/Denver, Co.
November 18, 2016 • 12:15pm - 1:15pm Kavod Asst Living/Denver, Co.
November 16, 2016 • 3:00pm - 4:00pm Juniper Village/ Louisville, Co.
November 15, 2016 • 4:00pm - 5:00pm Sunrise Asst. Living/Westminster, Co.
November 14, 2016 • 11:00am - 4:30pm Music at Assured Asst. Living/ Castle Rock, Co.
November 13, 2016 • 3:00pm - 5:00pm Wedding Reception/ Lakewood, Co.
November 11, 2016 • 2:00pm - 3:00pm Brookdale Seniors/Denver, Co.
November 09, 2016 • 9:30am - 2:00pm Music at Assured Asst. Living/ Castle Rock, Co.
November 08, 2016 • 2:30pm - 3:30pm Colorado Veterans Home/Aurora, Co.
November 05, 2016 • 6:30pm - 9:00pm 50th wedding anniv. Castle Rock, Co.
November 03, 2016 • 10:00am - 11:00am Juniper Village/ Denver, Co.
November 01, 2016 • 2:15pm - 3:15pm Music for seniors/Johnson Center/ Englewood, Co.
October 27, 2016 • 4:00pm - 5:00pm Balfour Lodge/ Louisville, Co.
October 26, 2016 • 9:30am - 10:30am Mapleton Asst Living/ Lakewood, Co.
October 21, 2016 • 11:00am - 3:00pm Castle Country Asst Living/Castle Rock , Co.
October 20, 2016 • 10:30am - 11:30am Music for seniors/ Garden Terrace, Aurora, Co.
October 19, 2016 • 3:00pm - 4:00pm Music for seniors/Juniper Village/ Louisville, Co.
October 18, 2016 • 2:15pm - 3:15pm Music for seniors/Johnson Center/ Englewood, Co.
October 17, 2016 • 12:30pm - 1:30pm Successful Aging Confernce/ Longmont, Co.
October 14, 2016 • 2:00pm - 3:00pm Granville Asst Living/ Lakewood, Co.
October 13, 2016 • 4:00pm - 5:00pm Music at Sunrise Asst. Living/Westminster, Co.
October 12, 2016 • 9:30am - 2:00pm Music at Assured Asst. Living/ Castle Rock, Co.
October 11, 2016 • 10:00am - 11:00am Music at Harmony Pointe/ Lakewood, Co.
October 04, 2016 • 10:30am - 11:30am Brookside Inn/ Castle Rock, Co.
September 29, 2016 • 2:30pm - 3:30pm Harvard Sq. Asst Living/Aurora, Co.
September 27, 2016 • 1:30pm - 2:30pm Balfor Asst Living/Louisville, Co.
September 26, 2016 • 2:00pm - 3:00pm Johnson Senior Day Center/Englewood, Co.
September 22, 2016 • 12:30pm - 1:30pm Kavod Asst Living/Denver, Co.
September 21, 2016 • 11:00am - 12:00pm Castle Country Asst Living/ Castle Rock, Co.
September 20, 2016 • 4:00pm - 5:00pm Sunrise Asst Living/Westminster, Co.
September 19, 2016 • 3:00pm - 4:00pm Manor Care Asst Living/ Denver, Co.
September 16, 2016 • 10:00am - 11:00am Music at Juniper Village/Denver, Co.
September 15, 2016 • 10:30am - 11:30am Music at Garden Terrace/Aurora, Co.
September 14, 2016 • 9:30am - 2:00pm Music at Assured Asst. Living/Castle Rock, Co.
September 13, 2016 • 10:00am - 11:00am Music at Harmony Pointe Asst. Living/Lakewood, Co.
September 12, 2016 • 11:00am - 4:30pm Music at Assured Asst. Living/Castle Rock, Co.
September 11, 2016 • 9:30am - 10:30am Festival Italiano in Lakewood, Co.
September 10, 2016 • 8:00pm - 9:00pm Festival Italiano in Lakewood, Co.
September 06, 2016 • 10:30am - 11:00am Music at Brookside Inn/Castle Rock, Co.
August 29, 2016 • 2:00pm - 3:00pm Johnson Center in Englewood, Co.
August 28, 2016 • 3:00pm - 5:00pm Birthday Party in Westminster, Co.
July 23, 2016 • 2:30pm - 3:15pm Birthday party in Loveland, Co.
July 23, 2016 • 11:00am - 12:00pm Shirley Conference, Denver, Co.
July 22, 2016 • 2:30pm - 3:30pm Birthday party in Longmont, Co.
July 01, 2016 • 3:00pm - 4:00pm Oberon Asst Living, Arvada, Co.
May 13, 2016 • 6:30pm - 8:00pm ALS fundraiser, Four Seasons Hotel, Denver, Co.
April 27, 2016 • 1:30pm - 2:30pm Balfor Seniors, Louisville, Co.
April 26, 2016 • 12:00pm - 12:30pm Westwind Senior Event, Parker, Co.
April 25, 2016 • 11:00am - 3:00pm Castle Country Asst Living, CRock, Co.
April 22, 2016 • 2:00pm - 3:00pm Sterling House, Longmont, Co.
April 21, 2016 • 10:30am - 11:30am Garden Terrace, Aurora, Co.
April 20, 2016 • 3:00pm - 4:00pm Juniper Asst Living, Louisville, Co.
April 14, 2016 • 4:00pm - 5:00pm Sunrise Asst Living, Westminster, Co.
April 13, 2016 • 9:30am - 10:30am Assured Asst Living, Castle Rock, Co.
April 12, 2016 • 10:00am - 11:00am Harmony Pointe, Lakewood, Co.
April 11, 2016 • 11:00am - 4:30pm Assured Asst Living, Castle Rock, Co.
April 08, 2016 • 2:00pm - 3:00pm Canterbury Asst. Living, Aurora, Co.
April 07, 2016 • 12:00pm - 12:15pm Elvis Singing Birthday Telegram, Aurora, Co.
April 06, 2016 • 2:00pm - 3:00pm Johnson Center, Englewood, Co.
April 05, 2016 • 10:00am - 11:30am Brookside Inn Castle Rock, Co.
April 01, 2016 • 9:30am - 10:30am Mapleton Care in Lakewood, Co.
December 31, 2015 • 7:00pm - 8:00pm Garden Terrace afternoon NYE party! October 04, 2015 • 7:00pm - 8:00pm Wedding in Lyons, Co.
September 28, 2015 • 7:00pm - 8:00pm Successful Aging Expo, Longmont, Co.
September 19, 2015 • 7:00pm - 8:00pm High School Reunion, Lakewood, Co. Songs performed in the crooner tribute include songs by Sinatra and other crooners: Dean Martin, Perry Como, Al Martino, Tony Bennett. Songs performed in the Sinatra tribute are: It had to be you, All of me, New York New York, My Way, Young at Heart, Strangers in the Night, I've got the world on a String, Fly me to the Moon, Summer Wind, Someone to watch over Me, It was a very good Year, All the Way, I've got you under my skin, That's Life, The Lady is a Tramp, Luck be a Lady, For Once in my Life, Come fly with Me, and others. Songs performed in the Elvis set are: Heartbreak Hotel, Can't help falling in Love, Suspicious Minds, Return to Sender, All Shook Up, Lawdy Miss Clawdy, That's alright Mama, Love me Tender, Hound dog, Stuck on You, Unchained Melody, Too Much, Don't Be Cruel, American Trilogy, and others. Also, Mack the Knife, Blue Moon, Misty, After the Loving, and many others. The musical acts that have influenced me are Elvis Presley, Frank Sinatra, Dean Martin, Engelbert Humperdinck, Tom Jones, Motown acts, Tony Bennett, the Beatles, the Grass Roots, Dylan, Hank Williams, Johnny Cash, Merle Haggard, Willie Nelson, BB King, Eric Clapton, the Jackson Five, the Supremes, and many others. Sufficient lighting in the performance area. I provide my own P.A. system.